Vienna, January 22, 2018 – Austrian energy tech company cyberGRID has developed a platform, which paves the way for aggregators and utilities to sell their services on a pan-European scale. What was for a long time merely political wishful thinking is becoming a reality in the European energy project FLEXICIENCY, where a new pilot case between cyberGRID and the utility partners in the project has proven how cross border trading of electricity services can become a reality. “Today flexibility from different energy sources can be traded on different electricity markets, like balancing, intraday and DAM. In the future, we can expect emergence of new markets for flexibilities, especially in the DSO domain, as the recent Winter Package suggests. Within the FLEXICIENCY project cyberGRID is putting this kind of use-cases to the test with their flexibility platform and opens flexibility services to the national and international market players”, explains Andraž Andolšek, Project Manager at cyberGRID. cyberGRID, as a member of the European Union funded FLEXICIENCY project, facilitates the EU market place by emulating a pan-European aggregator with its virtual power plant (VPP). If by today aggregators want to participate in a new balancing market (e.g. in another EU country), they must consider a variety of regulatory and technical barriers, which prolong the new business adoption – and in most instances, prohibits a beneficial business case. The EU Market Place helps remove these barriers, defines standardized interfaces and offers aggregators a much faster and cheaper integration with the balancing market on one side and communication with the end-devices on the other. 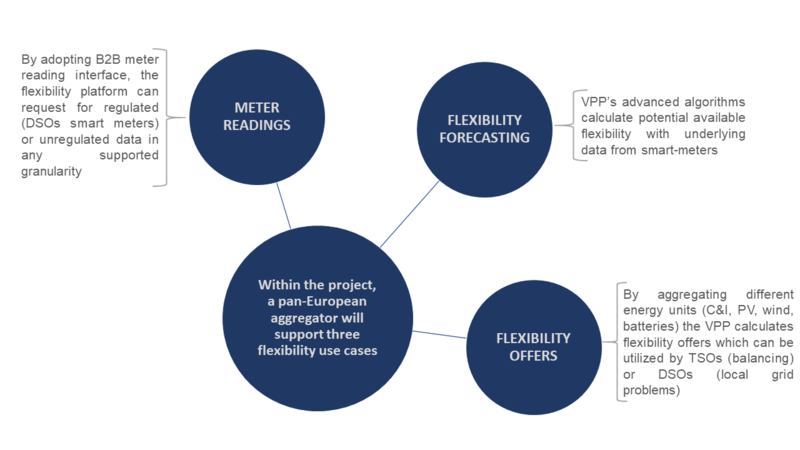 VPP’s advanced algorithms calculate potential available flexibility with underlying data from smart-meters. By aggregating different energy units (C&I, PV, wind, batteries) the VPP calculates flexibility offers which can be utilized by TSOs (balancing) or DSOs (local grid problems). By adopting B2B meter reading interface, the flexibility platform can request for regulated (DSOs smart meters) or unregulated data in any supported granularity. “By using real consumption data from our customers, we prove that cross-border trading has a huge potential and it shows us how we could benefit from these opportunities in the future” says Jan Cupal, Senior Innovation Manager of Verbund. The FLEXICIENCY project has now opened the EU market platform for trials for all interested providers of flexibility services from storage providers to utilities. Sign up for a trial at the webpage: www.FLEXICIENCY-h2020.eu and have the opportunity to help shaping the pan-European energy market place of the future. 4 major Distribution System Operators (in Italy, France, Spain and Sweden) with smart metering infrastructure in place, associated with electricity retailers (including one operating in a no-smart-meter environment), aggregators, software providers, a system integrator, research organizations and one large consumer, are undertaking 5 large-scale demonstrations to show that the deployment of efficient novel services in the electricity retail markets (ranging from advanced monitoring to local energy control, and flexibility services can be accelerated thanks to an open European market place based on standardised interactions among electricity stakeholders, opening up the energy market also to new players at EU level. cyberGRID was founded in 2010 as a specialist in development of innovative Demand Response and Virtual Power Plant solutions, located in Vienna, Austria. cyberGRID boosts the efficient use of existing generation resources and the integration of renewable energy resources contributed to the European wide research agenda. 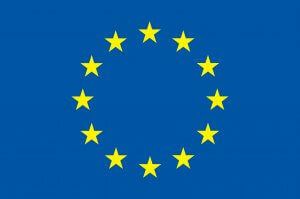 This press release reflects only the author’s view and the European Commission or its delegated Agency INEA is not responsible for any use that may be made of the information it contains.